Google on Wednesday released the Android N Developer Preview for Nexus 6P, Nexus 6, Nexus 5X, Nexus 9, Nexus Player and Pixel C android devices. Since Google hadn’t made ant announcement on the developer preview, so the release is a shock for many android fans. Android N is in the developing stage and there is no name for this Android version yet. Currently, the Android N Developer Preview images are available only for few Nexus devices and those are Nexus 6P, Nexus 6, Nexus 5X, Nexus 9, Nexus Player and Pixel C. If you have any of the mentioned devices then you can download the latest Android N on your phone and use the same. Here in this guide, we’ll show you how you can do this easily. Before following this guide do take the full backup of your phone and read all the instruction very carefully. Step 1. 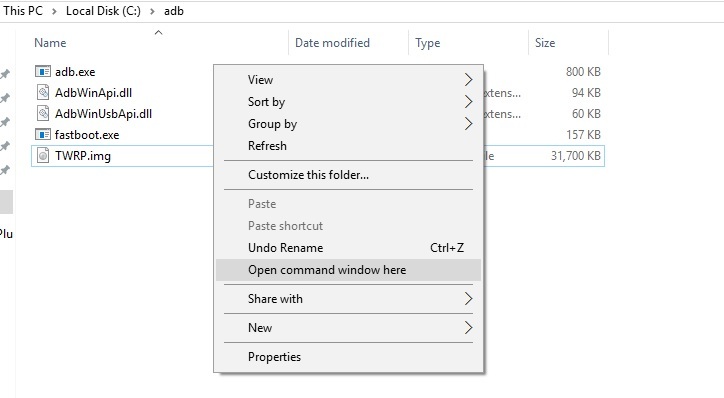 Download the ADB files here on your desktop and this will create ADB folder on your Windows C Drive. Step 3. Extract the Preview Image and move all the files in the ADB folder. The same folder that you created in Step 1. Step 6. Once your phone in Fastboot mode. Double-click on flash-all file form the folder. This will flash the Android N firmware, baseband, bootloader and all required files on your phone. Once completed Reboot your phone and you can enjoy the new Android N Developer Preview on your Nexus.